New Zealand’s gambling market is a diverse and interesting industry. It has spawned many research studies and investigative reports. Here, we’ll post the latest of these, in addition to general gambling articles to help players improve their casino experience. There has recently been a surge of gambling activity in Christchurch, shortly after a devastating earthquake hit the area earlier this year. In this article, we investigate the issue, uncovering possible solutions and causes. This research delves into the gambling behaviour of New Zealanders with Pacific backgrounds, a topic which has very little scholarly coverage. 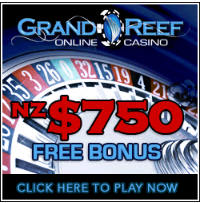 This particular article explores the gambling habits of Pacific mothers living in New Zealand. Most scholarly research concerns the gambling behaviour of adults. This particular research paper explores the gambling habits of those with unhealthy behaviour under the age of 18.